A teacup is a cup, with or without a handle, generally a small one that may be grasped with the thumb and one or two fingers. In some lands it is custom to raise the last finger on the hand, or “pinkie” when drinking from a tea cup. It is typically made of a ceramic material. It is usually part of a set, composed of a cup and a matching saucer. These in turn may be part of a tea set in combination with a teapot, cream jug, covered sugar bowl and slop bowl en suite. Teacups are often wider and shorter than coffee cups. 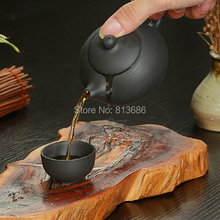 According to Mark Barcinski, it is said that Japanese teacups have no handles so one can gauge whether the tea temperature is ready for consumption: “If it is too hot to hold it, it is too hot to drink it”. 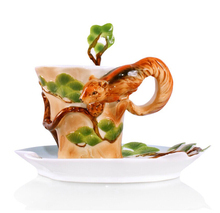 Some collectors acquire numerous one-of-a-kind cups with matching saucers. 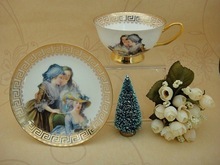 Better teacups typically are of fine white translucent porcelain and can be decorated with floral patterns. They may also memorialize a location, person, or event. Such collectors may also accumulate silver teaspoons. These usually have a decorated enamel insert in the handle with similar themes. The first small cups specifically made for drinking the new beverage tea seen in Europe were exported from the Japanese port of Imari. Tea bowls in the Far East did not have handles, and the first European imitations, made at Meissen, were without handles, too . Countries in East Africa like Eritrea also use the handle-less cups to drink boon which is traditional coffee there. 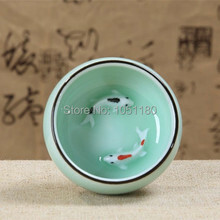 Chinese teacups are very small, normally can hold no more than 30ml of liquid. 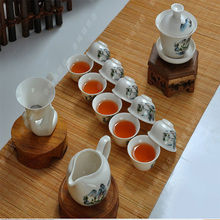 They are designed to be used with Yixing teapots or Gaiwan.